Shelter animals in Nevada still play second fiddle when it comes time to choose a new pet, according to the findings of a recent telephone survey. Despite ongoing efforts to promote adoption of shelter animals, only 39% of the people surveyed had obtained one or more of their pets from a shelter or a rescue group. The rest were obtained from breeders, pet stores, friends, and family. "This shows how much more we can still do to ensure that all the dogs and cats in our community find the loving homes they deserve", said Tom Jacobs, Executive Director of the SPCA of Northern Nevada. The most common reason why people did not adopt from a shelter was a preference for a particular breed, or for young animals. This attitude, however, reflects some basic misconceptions, according to Bonney Brown, Executive Director of the Nevada Humane Society. "Animal shelters and breed-specific rescue groups often have purebred animals and young litters available for adoption", said Brown. "But many families will be just as happy with a mixed breed dog or cat, or a more mature animal. Every shelter animal is unique and special in their own way, and shelter adoption counselors can usually match a family with the perfect pet for their lifestyle. Plus, adopting from an animal shelter gives you the great feeling of knowing that you saved a life". In other findings, over 80% of those surveyed reported having spayed or neutered their pets. "Nevada deserves high marks in this regard", said Jacobs. 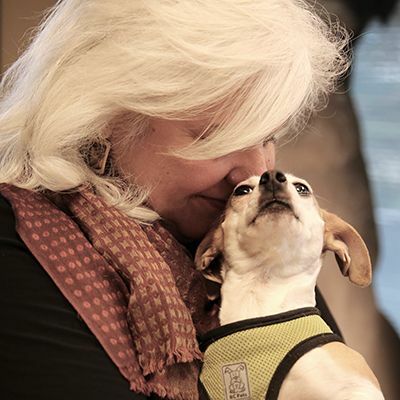 "Because so many pet owners are doing the right thing, our shelters in Washoe County are able to save most of the animals that pass through their doors". However, not every animal is saved. Despite years of progress, Washoe County and the rest of Nevada still cannot guarantee a home for every healthy and treatable dog and cat. "Shelter pets have so much unconditional love to offer", said Jacobs. "Even though thousands are saved each year, it is heartbreaking to think of the hundreds that never even get a chance to share their lives and their affection with an appreciative family." The telephone survey was conducted by the University of Nevada Reno's Center for Research Design and Analysis on behalf of Maddie's Fund® and the SPCA of Northern Nevada. Responses were obtained from 608 households in selected Nevada counties, including Washoe County, and the results have a margin of error of 4%. The full survey or the Executive Summary can be viewed at www.spcanevada.org. To adopt a shelter animal in Washoe County, visit the SPCA of Northern Nevada at 840 E. Fifth St., Reno or the Nevada Humane Society at 2825 Longley Lane, Reno.